Waves Audio has expanded the capabilities of its V9 (Version 9), and it is now available for live use with Yamaha, Allen & Heath, DiGiCo, Venue and MultiRack Native. Waves Version 9 features 64-bit support and faster scanning, loading and processing. Waves users can now take advantage of large RAM memory in the DAW hosts of their choice. V9 also marks the introduction of Waves’ new authorization system, Waves License Center, which eliminates use of the iLok and is designed to improve simplicity, flexibility, mobility and security. Waves License Center offers users authorization activation straight to their computer or any USB flash drive; license management; license mobility via USB flash drive or users’ License Cloud; and license recovery in the case of lost or damaged devices. 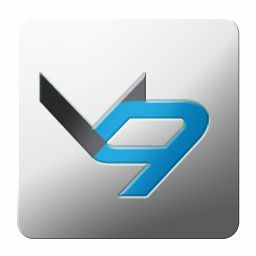 V9 also allows users to run V8 and V9 plugins side-by-side. New features for live use include 64-bit support and hard drive or USB flash drive activation for Yamaha and Allen & Heath consoles as well as MultiRack Native. No D-Show enabler is needed for Venue consoles. New plugins in Wave’s Horizon bundle include: Kramer Master Tape; PIE Compressor; HLS Channel; Bass Rider; CLA Guitars; Maserati Drums; OneKnob Filter; and OneKnob Driver. New plugins in Diamond include: GTR3 Software; OneKnob Filter; and OneKnob Driver. New plugins in Platinum include: GTR3 Software and OneKnob Driver. New plugins in Gold include: GTR3 Software. New in SG Pro - NLS Non-Linear Summer. New in Live Bundle are GTR3 and compatible version of PuigTec EQs for Venue.